The importance of probiotics cannot be understated, they are essential to our wellbeing and are beneficial to everything from your body’s ability to assimilate its food and digest it, to excreting waste. 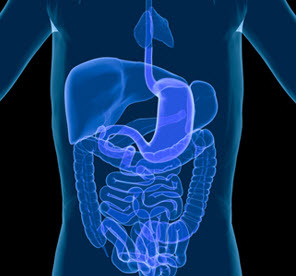 Probiotics colonize your intestine with what is known as an intestinal flora, which is crucial. The really interesting part that underscores the importance of probiotics is that the intestinal flora is about more than digestion. In your intestinal flora, you also make neurotransmitters that attach to receptors in your brain. The neurotransmitters are produced in your gut, and migrate up the vagus nerve, the largest nerve in your body. Anxiety and depression have been proven to be associated with a lack of intestinal flora. So as you can see, Chiropractic can play a direct role in this cycle. The upper cervical “atlas” vertebrae at the top of the neck can affect the tone of the brain stem and interfere with the function of the Vagus nerve. So even if you have the proper intestinal flora, if those vital neurotransmitters cannot properly reach the brain then you may still experience the related symptoms, anxiety and depression. Check out our video on how to make water kefiror book an appointment for an exam if you feel like you could be doing better in this all important area.